Gold Star Contractor - This contractor installs CertainTeed commercial roofing, has been in business at least five years, and has bonding capability greater than $1 million, or equivalent financial resources and experience. They are authorized to offer no-dollar-limit warranties up to 25 years, including Integrity Coverage™. 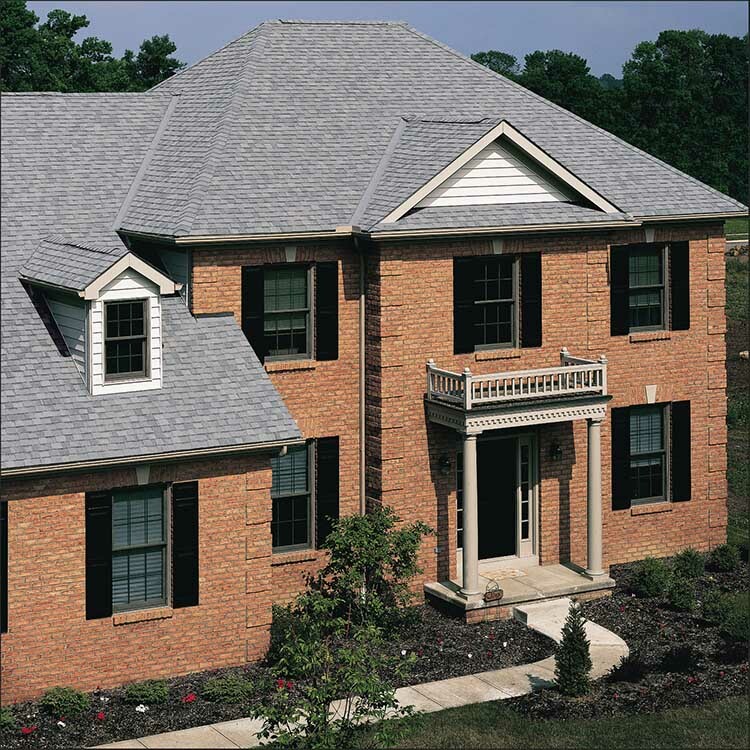 Silver Star Contractor - This contractor installs CertainTeed commercial roofing, has been in business at least three years, or has had three jobs inspected by CertainTeed. They are authorized to offer no-dollar-limit warranties up to 12 years. RoofingRESPONSIBLY™ Recycling Program - This contractor participates in the CertainTeed RoofingRESPONSIBLY™ Recycling Program. 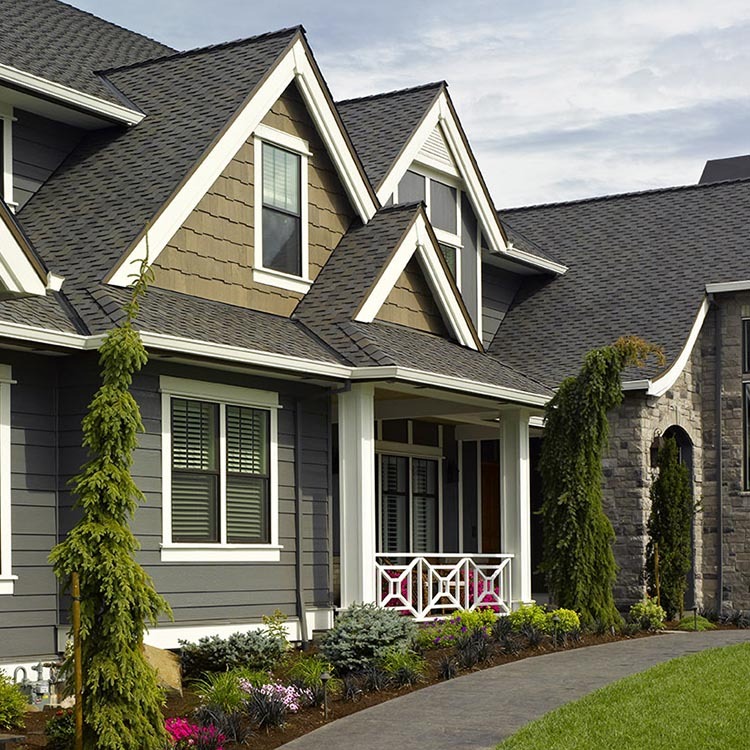 When you select a participating CertainTeed Credentialed Contractor to install your new roof, you get the comfort and confidence that comes with knowing your old shingles will bypass the landfill for “greener” pastures. 5-Star Green Contractor - Vinyl Siding - CertainTeed's sustainable vinyl siding and trim designation, a 5-Star Green Contractor has passed the 5-Star Green Contractor Aptitude Exam and agreed to adopt sustainable business practices within their company, and carries all the qualifications of a 5-Star Contractor. Those contractors that have received this certification have received the highest level of training on our products and their green attributes. 5-Star Contractor - Vinyl Siding - CertainTeed's highest vinyl siding/polymer shakes & shingles siding and trim credential - a 5-Star Contractor has passed the CertainTeed Vinyl and Polymer Siding Master Craftsman test and either the Restoration Millwork® Exterior Trim, CertaWrap™ or EverNew® Vinyl Decking and Railing Master Craftsman tests in addition to either the Vinyl Siding Institute's Certified Installer course or the CertainTeed Advanced Training Program for Vinyl, Insulated and Polymer Siding. Those contractors that have received this certification have received the highest level of training on our products. In addition, they have provided CertainTeed with proof of Worker's Compensation (where required by law) and General Liability Insurance. 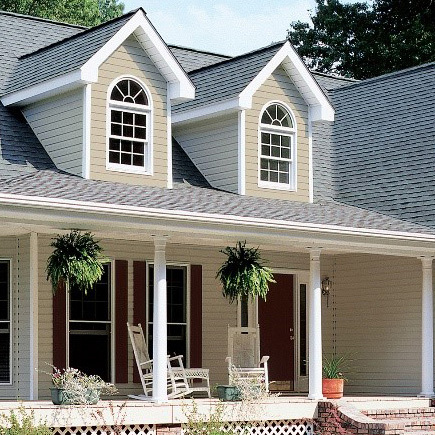 Vinyl Siding and Polymer Master Craftsman - A vinyl siding contractor who installs CertainTeed siding and who has earned the title of Master Craftsman by studying for and passing the CertainTeed Vinyl Siding Master Craftsman written test. CertainTeed Master Craftsmen have demonstrated their commitment to their profession by studying installation techniques in order to better serve their customers and industry. CertaWrap™ Weather Resistant Barrier Master Craftsman - CertaWrap™ Weather Resistant Barrier Master Craftsman – An exterior cladding contractor who installs CertainTeed housewrap and who has earned the title of Master Craftsman by studying for and passing the CertainTeed Weather Resistant Barrier Master Craftsman written test. CertainTeed Master Craftsmen have demonstrated their commitment to their profession by studying installation techniques in order to better serve their customers and industry. Restoration Millwork® Exterior Trim Master Craftsman - A Restoration Millwork contractor has earned the title of Restoration Millwork Master Craftsman by passing the CertainTeed Restoration Millwork Master Craftsman test. These contractors have demonstrated their commitment to their profession by studying installation techniques in order to better serve their customers and industry. EverNew® Vinyl Decking & Railing Master Craftsman - A decking & railing contractor who installs CertainTeed EverNew® Vinyl Decking & Railing, and who has earned the title of Master Craftsman by studying for and passing the EverNew® Vinyl Decking & Railing Master Craftsman written test. Master Craftsmen have demonstrated their commitment to their profession by studying installation techniques in order to better serve their customers and industry. Restoration Millwork® Trim Master Craftsman - A Restoration Millwork contractor has earned the title of Restoration Millwork Master Craftsman by passing the CertainTeed Restoration Millwork Master Craftsman test. These contractors have demonstrated their commitment to their profession by studying installation techniques in order to better serve their customers and industry. 5-Star Bufftech Fence Contractor - CertainTeed's highest fence credential, a 5-Star Contractor has passed the Bufftech Fence Master Craftsman test and the CertainTeed Fence Advanced Training Program. Those contractors that have received this certification have also received the highest level of training on our products. In addition, they have provided CertainTeed with proof of Worker's Compensation (where required by law) and General Liability Insurance. Bufftech Master Craftsman - A fence contractor who installs Bufftech vinyl fence products and who has earned the title of Master Craftsman by studying for and passing the Bufftech Master Craftsman written test. Master Craftsmen have demonstrated their commitment to their profession by studying installation techniques in order to better serve their customers and industry. Evernew® Composite Railing Master Craftsman - A professional contractor who installs CertainTeed EverNew® Composite Railing, and who has earned the title of Master Craftsman by studying for and passing the EverNew® Composite Railing Master Craftsman written test. Master Craftsmen have demonstrated their commitment to their profession by studying installation techniques in order to better serve their customers and industry. CertainTeed Selects™ Fence Master Craftsman - A fence contractor who installs CertainTeed Selects Fence and who has earned the title of Master Craftsman by studying for and passing the CertainTeed Selects Fence Master Craftsman written test. Master Craftsmen have demonstrated their commitment to their profession by studying installation techniques in order to better serve their customers and industry. CertainTeed Insulation Master Craftsman - An insulation contractor who installs CertainTeed insulation in homes and commercial buildings.